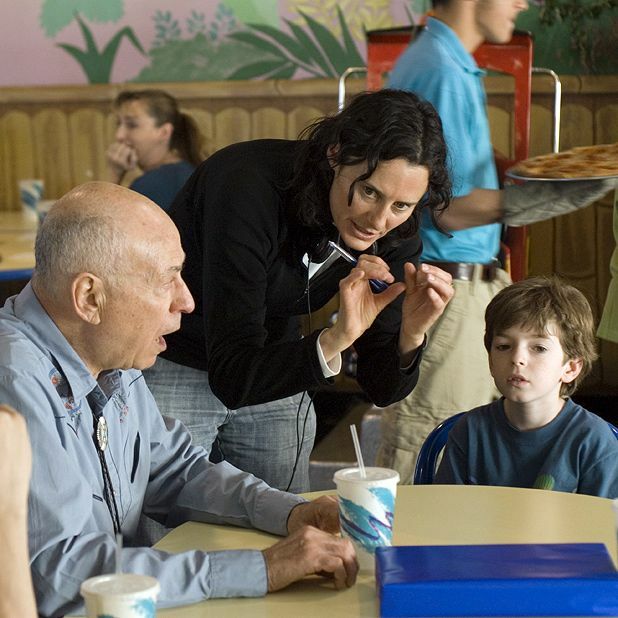 Kiwi filmmaker Christine Jeffs (pictured centre right) wasn’t the obvious choice to direct the American indie comedy Sunshine Cleaning. Her previous two features, the New Zealand marital breakdown drama Rain and the British dead poet biopic Sylvia, might have been fine films, but comedies they weren’t. Nevertheless, Jeffs’ black comedy about two sisters (played by Amy Adams and Emily Blunt) who start up a crime-scene clean-up business in New Mexico was a hit at the Sundance Film Festival. Many of the film’s laughs are also derived from the Midwest setting and from the unusual nature of the business the sisters set up. Crime-scene cleaning is actually a thriving business in recession-era America, as the film’s screenwriter, Megan Holley, discovered when she heard a real-life story broadcast on public radio. Basing her script on the report about two friends in Baltimore who went into business mopping up blood and guts, Holley made the friends siblings and moved the location to Albuquerque. Sunshine Cleaning is on general release from Fri 26 Jun.